1. 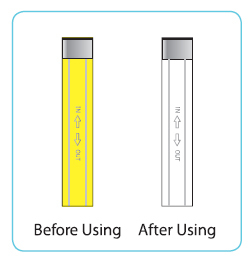 Replace cartridge when lemon content inside the cartridge turns clear (approximate 45 to 60 days). 2. Check cartridge if you cannot smell aroma when in use. 3. Each cartridge last about 45 to 60 days, depending on usage. 1. 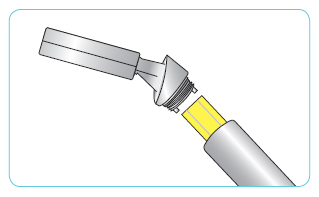 Unwind the top handle part of the shower head by turning it to the left and remove the used cartridge. 2. Insert a new cartridge back in place and assemble in reverse order.